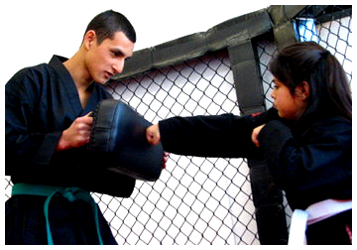 The IMS Kids & Youth Mixed Martial Arts program is an introduction to the predominant styles of what is commonly known as Mixed Martial Arts, or modern Pankration. Pankration is the ancient Olympic sport that spread from Greece throughout the then “known world” by the Conquests of Alexander the Great. Over time this sport and training method of Greece’s soldiers influenced, and in some cases began certain Asian Martial Arts that were then re-invented with their own cultural and practical emphasis. Modern Pankration, or Mixed Martial Arts is the re-semblance of the original elements of Pankration (all powers) in a sport form, but with superior self defense effectiveness to what most art forms, or mixes of a few “traditional” styles commonly practiced. This curriculum teaches the fundamentals of Wrestling, Boxing, Muay Thai Kickboxing, Jiu Jitsu, Catch Wrestling and Sambo along with the necessary discipline and work ethic to be proficient, but in a fun and “play” practice. 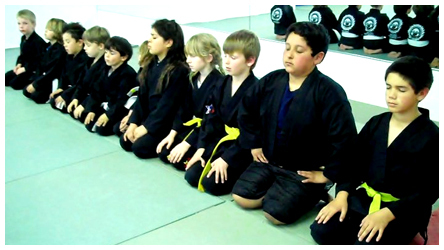 Just as important, we teach confidence and respect of oneself through respecting others. We want our students to be responsible and caring individuals who understand that it is better, and healthier to consider the “we” over “me” approach, which promotes a productive and more rewarding life.